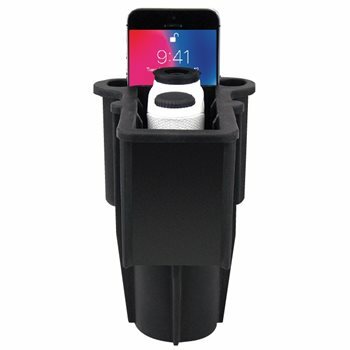 The Range Gripper RG1 range finder and cell holder fits conveniently into a cup holder. The RG1 gripper provides a secure and safe place to set your phone and range finder in between each shot. The gripper is flexible, lightweight, durable and fits into your golf bag for easy access. 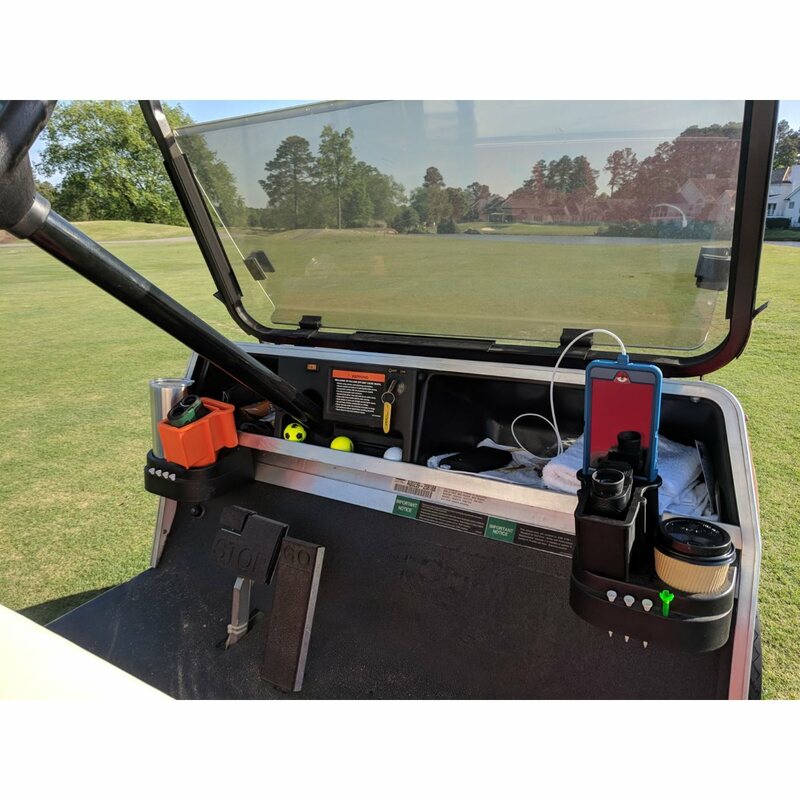 Fits my Golf carts cupholder perfectly and does exactly what it says. Secures my cell phone and rangefinder while im carting around. Fits my golf cart cupholder perfectly and does exactly what it says. Keeps my phone and Rangefinder secure and makes sure it doesn't fall out while i'm carting around.